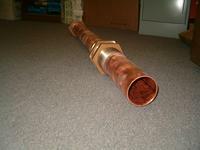 Shielding Resources Group, Inc. now offers 100% lead free honeycomb waveguide vent material. This material is provided to eliminate any and all concerns of lead contamination by airborn particles. This material exceeds all domestic and international requirements for lead free electronics and is environmentally friendly. SRG's unique and proprietary manufacturing process includes applying a thin coating of 100% tin to the raw base strip base material. The thickness of the coating is extremely critical and must be within .0015"-.002". After the base strip material is formed, cut to the desired length and assembled as a sheet, it is placed in an oven. Under a controlled set of parameters the temperature is raised until the tin coating is allowed to flow via capillary action, a process we have named fusion bonding. Once cooled, the sheet becomes a bonded or fused honeycomb matrix offering structural and RF intergrity. Shielding Resources Group carries a large and diverse array of components that include but are not limited to: panels, tubular waveguide, standard/custom sized waveguide, fingerstock, electric filters, Fire/Smoke Detector/Alarms, Telephone Filters, windows, door handle mechanisms, silver conductive tape, gaskets, etc. for the shielding industry.